Bob Burch is a world-class skier who has skied the largest cross-country ski race in North America, the American Birkebeiner, every year for 36 years. This February he will make the drive from Eau Claire to compete in the massive race from Cable to Hayward for the 37th time. Known as the Birkie. the race welcomes both skate and classic-style skiing. For skaters, the course covers 50 kilometers, while for classic skiers it’s 55 kilometers. The American Birkebeiner was founded in 1973 by the late Tony Wise. Revered as a visionary and avid environmentalist, Wise is credited for his tireless promotion of northern Wisconsin. After returning from World War II in 1947, Wise started the Telemark ski resort in Cable, and he operated the lodge through 1984. In 1978 Wise formed the Worldloppet Organization, an international association of long-distance ski races that now unites the American Birkebeiner with 19 of the world’s most prestigious ski marathons. The American Birkebeiner is one of the nine original races in the event, which has grown to 20 races on five continents. Today, skiers from many nations come to Wisconsin to ski the Birkie. In 1985, Wise lost control of Telemark Lodge. Subsequently, the American Birkebeiner Ski Foundation was formed. With its mission to promote and conduct the finest international cross-country ski competition, serve as good stewards of the American Birkebeiner Trail, and support healthy and active lifestyles among people of all ages and abilities, members of the foundation have preserved the legacy and contributions of Tony Wise in the Hayward area. Each year a development grant program awards thousands of dollars to youth skiing organizations throughout the region and nation to foster young people making skiing part of their life. Originally from Appleton, Bob Burch attended UW-Eau Claire and graduated in the early 1970s with a bachelor’s degree in social work. After graduation, Bob worked at a group home and would take residents out for different activities including skiing. Through that experience, Burch found another way to “embrace Wisconsin and the seasons,” he said. In addition to participating in the Birkie for almost four decades, Burch has skied several races on the Worldloppet circuit in nine countries. “Ten if you count the fact that I went to Norway twice to ski the Norwegian Birkebeiner,” he added. Both times, the race was canceled due to 60-70 mph winds on top of the mountains. Burch has skied in Canada, Poland, Germany, Switzerland, Austria, and France. Bob has lived in Eau Claire for years, and is an active part of the ski community. 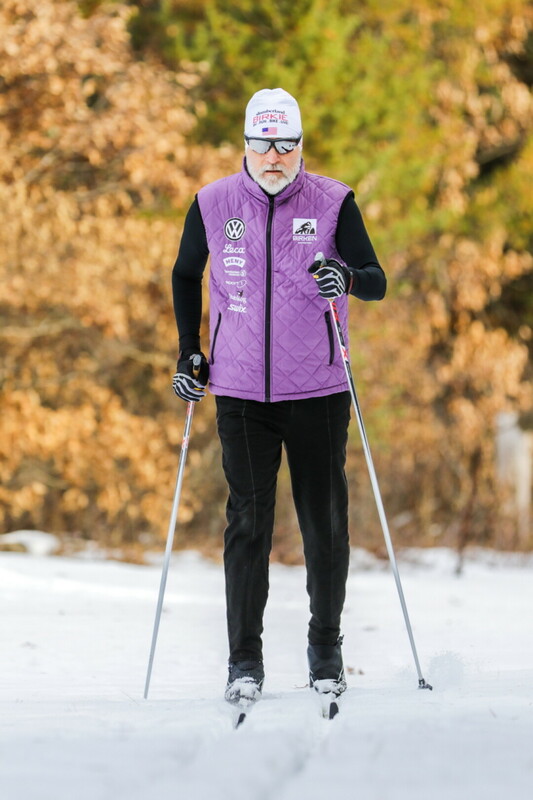 After skiing his first Birkie in 1981, he joined the Eau Claire Ski Striders Club. Each winter, Burch and other members of the club train and compete in a variety of short- and long-distance races in preparation for the Birkie. Over the years he has learned that the course is a challenge for international skiers. “Some racers find that the course is one of the tougher races. There is not a whole lot of flat associated with the Birkie,” he said. This winter, the race will be held on Saturday, Feb. 23. According to the Birkebeiner Foundation, skiers from 49 states and 36 countries participated in 2018. The race currently enlists 9,500 racers. Throughout the weekend festivities, the event hosts 11,000 skiers of all ages and 20,000 spectators. More information about the Birkebeiner is available online at birkie.com.